It’s official. 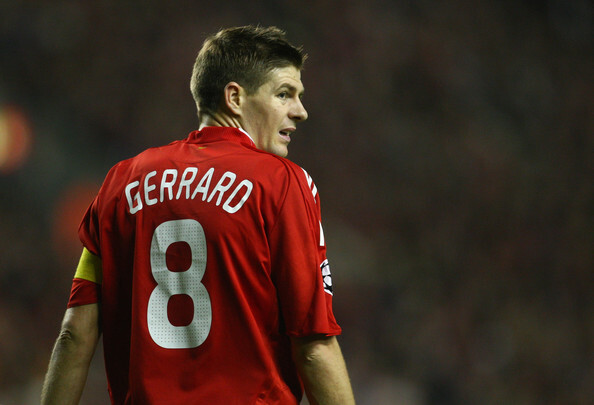 At the end of this season, Steven Gerrard will no longer be a Liverpool football club player, as his contract won’t be renewed, ending a long chapter spanning three different decades of one of the club’s greatest players ever. Gerrard is likely to land with an MLS club (Los Angeles Galaxy?) but more importantly for him, he’ll be in a lineup and assured of playing time. For Liverpool, his swan song was last season. This year? He can no longer give them 90 minutes of good football in his position. Not fit enough, not strong enough, not quick enough. Moving to the bench? The signs are already here, but he doesn’t want to spend an entire season as a sub who gets to play from time to time. Not all legends get to retire with the club they grew up in and played for their entire career. Gerrard, as it turns out, will join that list. At the end of this season, Steven Gerrard is leaving Liverpool. As weird as it is to think of him playing for anyone else or the club not having him on the pitch or the sidelines, he can’t give the team what is needed of him anymore, and he doesn’t want to spend an entire season (or more) on the bench. It’s probably for the best.